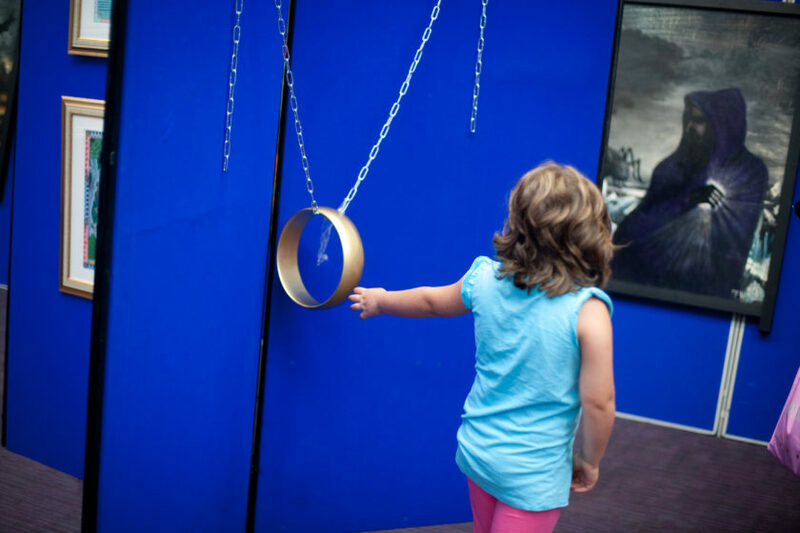 Young attendee fascinated by one of the exhibits in the art hall at the Return of the Ring. Taking place at the Macdonald Burlington hotel in Birmingham from 7th to 11th August 2019, the event will bring together hundreds of fans, scholars and artists from all over the world. Tolkien 2019 commemorates the 50th anniversary of the Society, and follows on from the successful events Tolkien 2012: Return of the Ring, Tolkien 2005: The Ring Goes Ever On, and the 1992 Tolkien Centenary Conference. We are currently planning for at least 500 attendees, which is twice the size of an ordinary Oxonmoot. More guests will be announced as they are confirmed. If you would be interesting in delivering a paper, please visit our Call for Papers. Tolkien 2019 will take place at the Macdonald Burlington Hotel in Birmingham, the childhood home of J.R.R. Tolkien. The Macdonald Burlington Hotel is a four-star hotel in the heart of Birmingham that is fully accessible. Situated directly opposite Birmingham New Street train station, the Macdonald Burlington is located in the centre of one of the UK’s biggest and most vibrant cities with world-class shopping, culture and entertainment, and restaurants all within a short walk of the venue. For the duration of the event — Wednesday 7th August to Sunday 11th August 2019 — we have exclusive use of the conferencing facilities at the hotel, meaning there will be a little bit of Middle-earth in central Birmingham. We have already had around 150 bookings. To book your attendance at the event, register now on our dedicated website, Tolkien2019.com. Members of The Tolkien Society should visit the Members’ Area of the website to obtain the discount code to access reduced registration prices. Members of the Dutch, Finnish, German, Italian and Spanish Tolkien societies can also obtain a discount code through their societies; please contact us if you would like your society to be added to the list.